Brisbane’s glorious weather is a massive drawcard for overseas students but there is far more to the Queensland capital. Buoyed by an ever-evolving dining scene, popular attractions and proximity to the coast, Brisbane is an understandably popular destination. There is so better place to spend a day in the sun than at the beach, and Brisbane has both in spades. Proximity to some of the Gold Coast’s best spots, including Burleigh and Coolangatta, is a massive advantage during summer. Brisbane is visually stunning and there are many ways to experience the natural elements of the city, whether it’s a walk through the Botanic Gardens, wandering around the South Bank Parklands or visiting Lone Pine Koala Sanctuary. The Queensland capital has a finger in every pie when it comes to sport, with the Brisbane Lions (AFL), Brisbane Bullets (NBL), Brisbane Roar (A-League), Brisbane Heat (BBL) and the Queensland Firebirds (Suncorp Super Netball) all competing for the limelight. 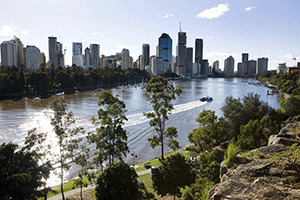 Brisbane is situated in a superb position, barely an hour from sunny Gold Coast. 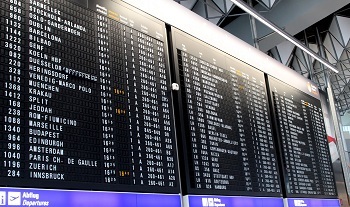 Alternatively, you can head south to visit Byron Bay on the New South Wales border or catch a 55-minute flight to the edge of Fraser Island. Australian city spotlight: what's on in Brisbane?